I read the other day the pumpkins for Halloween will be a bit smaller than usual because of the dry spring and damp summer. Spotted a few that looked OK. I guess if you want to carve your own pumpkin you'd better grab one soon. 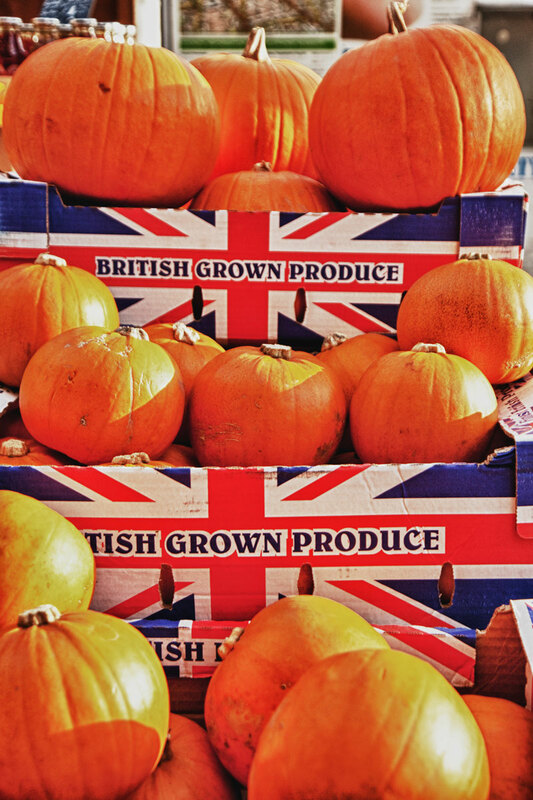 Although I don't think I've seen carved pumpkins in London, other than in stores. Those do look like good sized pumpkins! Carve away! I saw loads of people choosing them from a shop last week. Haven't seen any carved ones though. 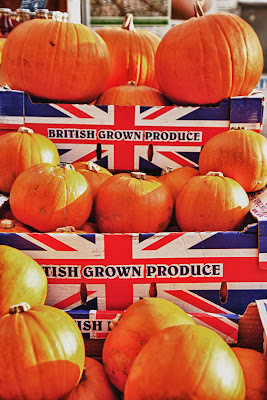 I always thought pumpkins for Halloween were American things. From the blogs at this time of year, I am seeing that they are more widespread. Pumpkins are my favorite part of Fall after the colored leaves! Ours are pretty standard size here this year. I haven't seen any carved ones here yet but by halloween there will be some real masterpieces around I am sure! Carve one Mo.